James Swanson is the Edgar Award-winning author of the New York Times bestseller Manhunt: The 12-Day Chase for Lincoln's Killer. 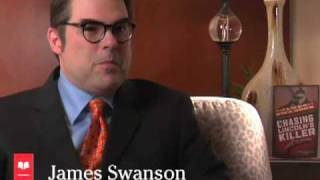 Swanson has degrees in history from the University of Chicago, where he was a student of John Hope Franklin, and in law from the University of California, Los Angeles. He has held a number of government and think-tank posts in Washington, D.C., including at the United States Department of Justice. 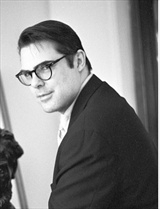 Swanson serves on the advisory council of the Ford's Theatre Society. Born on Lincoln's birthday, he has studied and collected books, documents, photographs, art, and artifacts from Abraham Lincoln's life—and death—since he was ten years old. What first pick for a Newbery Honor?